You are here: Home » News » 10th Annual Blue Ridge Mountain Music Festival – Success! 10th Annual Blue Ridge Mountain Music Festival – Success! 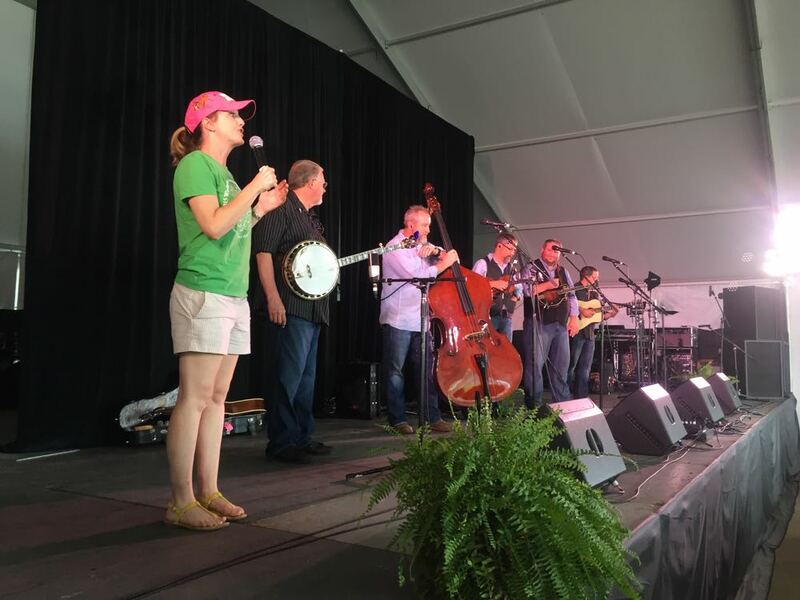 ©2015 Blue Ridge Life Magazine : Photos By Tommy Stafford WPA Artistic Director Erin Freeman chats with crowd as Balsam Range gets ready to play at the 10th Annual Blue Ridge Mountain Music Festival held this past Saturday – August 15, 2015 at Wintergreen. For 10 years Wintergreen Performing Arts has been hosting the annual Blue Ridge Mountain Music Festival. After a decade it’s become a great festival with lots of high profile artists. BRLM Publisher Tommy Stafford was the emcee again this year. He’s been doing that for the past 7 or so festivals. It was a great success this year! See you next August for the 2016 festival. Check out more pics from the festival in out Facebook album below. A great afternoon of Mountain Music put on by Wintergreen Performing Arts. Thanks to Mountain Area Realty and VA Commission for the Arts. The event sponsors. 6th Annual Blue Ridge Mountain Music Festival This Saturday At Wintergreen!